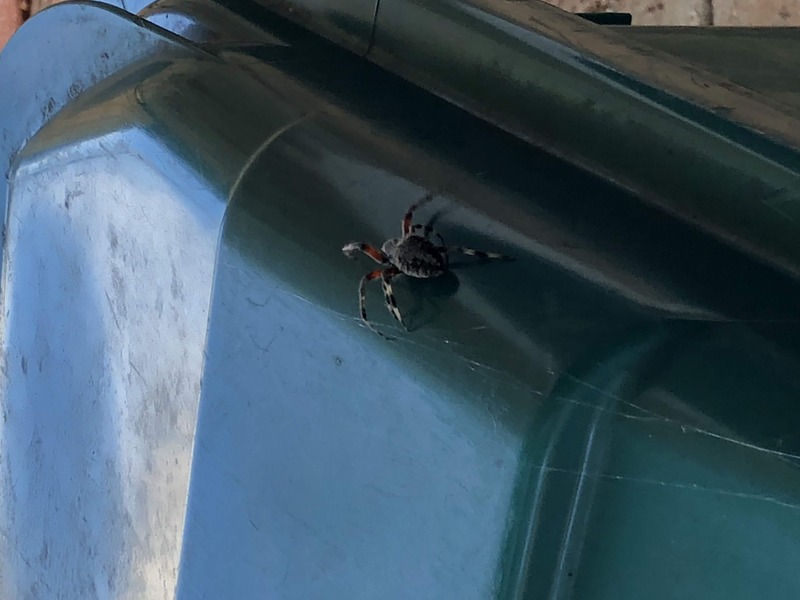 Is this spider poisonous? Could this be a lichen orb weaver? Hi, I’m not sure which orbweaver this is, but I can answer the first question. They have venom for paralyzing insects (and other spiders), but they aren’t considered dangerous to people. If they bite a person at all, it is because they feel like they are in immediate danger. Usually that means someone’s skin is pressed up against the spider and might squish her to death. Even then, the bite is said to be equivalent to a bee sting.